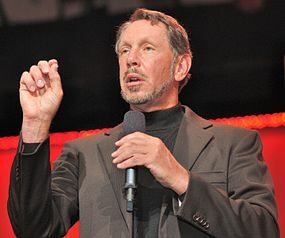 Larry Ellison co-founded Oracle Corporation in 1977 with Bob Miner and Ed Oates under the name Software Development Laboratories (SDL). Ellison took inspiration  from the 1970 paper written by Edgar F. Codd on relational database management systems ( RDBMS) named "A Relational Model of Data for Large Shared Data Banks." He heard about the IBM System R database from an article in the IBM Research Journal provided by Oates. Ellison wanted to make Oracle's product compatible with System R, but failed to do so as IBM kept the error codes for their DBMS a secret. SDL changed its name to Relational Software, Inc (RSI) in 1979,  then again to Oracle Systems Corporation in 1982,  to align itself more closely with its flagship product Oracle Database. At this stage Bob Miner served as the company's senior programmer. On March 12, 1986, the company had its initial public offering. In 1995, Oracle Systems Corporation changed its name to Oracle Corporation,  officially named Oracle, but sometimes referred to as Oracle Corporation, the name of the holding company. Part of Oracle Corporation's early success arose from using the C programming language to implement its products. This eased porting to different operating systems (most of which support C). Release 11: Release 11g became the current Oracle Database version in 2007. Oracle Corporation released Oracle Database 11g Release 2 in September 2009. This version was available in four commercial editions—Enterprise Edition, Standard Edition, Standard Edition One, and Personal Edition—and in one free edition—the Express Edition. The licensing of these editions shows various restrictions and obligations that were called complex by licensing expert Freirich Florea. The Enterprise Edition (DB EE), the most expensive of the Database Editions, has the fewest restrictions — but nevertheless has complex licensing. Oracle Corporation constrains the Standard Edition (DB SE) and Standard Edition One (SE1) with more licensing restrictions, in accordance with their lower price. Oracle Rdb, a relational database system running on OpenVMS platforms. Oracle acquired Rdb in 1994 from Digital Equipment Corporation. Oracle has since made many enhancements to this product and development continues as of 2008 [update]. Oracle also sells a suite of business applications. The Oracle E-Business Suite includes software to perform various enterprise functions related to (for instance) financials, manufacturing, customer relationship management (CRM), enterprise resource planning (ERP) and human resource management. The Oracle Retail Suite  covers the retail-industry vertical, providing merchandise management, price management, invoice matching, allocations, store operations management, warehouse management, demand forecasting, merchandise financial planning, assortment planning and category management. [ citation needed] Users can access these facilities through a browser interface over the Internet or via a corporate intranet. Development of applications commonly takes place in Java (using Oracle JDeveloper) or through PL/SQL (using, for example, Oracle Forms and Oracle Reports/BIPublisher). [ citation needed] Oracle Corporation has started[ citation needed] a drive toward "wizard"-driven environments with a view to enabling non-programmers to produce simple data-driven applications. In 1994, Informix overtook Sybase and became Oracle's most important rival. The intense war between Informix CEO Phil White and Ellison made front-page news in Silicon Valley for three years. Informix claimed that Oracle had hired away Informix engineers to disclose important trade secrets about an upcoming product. Informix finally dropped its lawsuit against Oracle in 1997. In November 2005, a book detailing the war between Oracle and Informix was published, titled The Real Story of Informix Software and Phil White. It gave a detailed chronology of the battle of Informix against Oracle, and how Informix Software's CEO Phil White landed in jail because of his obsession with overtaking Ellison. Once it had overcome Informix and Sybase, Oracle Corporation enjoyed years of dominance in the database market until use of Microsoft SQL Server became widespread in the late 1990s and IBM acquired Informix Software in 2001 (to complement its DB2 database). Today [update] Oracle competes for new database licenses on UNIX, Linux, and Windows operating systems primarily against IBM's DB2 and Microsoft SQL Server. IBM's DB2 still [update] dominates the mainframe database market. In 2004, Oracle's sales grew at a rate of 14.5% to $6.2 billion, giving it 41.3% and the top share of the relational-database market (InformationWeek – March 2005), with market share estimated at up to 44.6% in 2005 by some sources. Oracle Corporation's main competitors in the database arena remain IBM DB2 and Microsoft SQL Server, and to a lesser extent Sybase and Teradata,  with open source databases such as PostgreSQL and MySQL also having a significant  share of the market. EnterpriseDB, based on PostgreSQL, has recently [update] made inroads  by proclaiming that its product delivers Oracle compatibility features[ clarification needed] at a much lower price-point. Oracle Corporation would resort to a similar strategy, by advising SAP customers to get "OFF SAP" (a play on the words of the acronym for its middleware platform "Oracle Fusion for SAP"),  and also by providing special discounts on licenses and services to SAP customers who chose Oracle Corporation products. On November 23, 2010, a U.S. district court jury in Oakland, California found that SAP AG must pay Oracle Corp $1.3 billion for copyright infringement, awarding damages that could be the largest-ever for copyright infringement. While admitting liability, SAP estimated the damages at no more than $40 million, while Oracle claimed that they are at least $1.65 billion. The awarded amount is one of the 10 or 20 largest jury verdicts in U.S. legal history. SAP said they were disappointed by the verdict and might appeal. 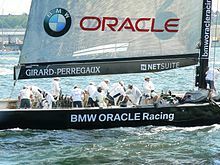 On September 1, 2011, a federal judge overturned the judgment and offered a reduced amount or a new trial, calling Oracle's original award "grossly" excessive. Oracle chose a new trial. In 2002, Oracle Corporation marketed many of its products using the slogan "Can't break it, can't break in", or "Unbreakable". This signified a demand on information security. Oracle Corporation also stressed the reliability of networked databases and network access to databases as major selling points. However, two weeks after its introduction, David Litchfield, Alexander Kornbrust, Cesar Cerrudo and others demonstrated a whole suite of successful attacks against Oracle products. Oracle Corporation's chief security officer Mary Ann Davidson said that, rather than representing a literal claim of Oracle's products' impregnability, she saw the campaign in the context of fourteen independent security evaluations  that Oracle Corporation's database server had passed. On April 25, 2014, the State of Oregon voted to discontinue Cover Oregon and instead use the federal exchange to enroll Oregon residents. The cost of switching to the federal portal was estimated at $5 million, whereas fixing Cover Oregon would have required another $78 million. As Oracle completed their acquisition of Sun Microsystems in February 2010, they announced that OpenSSO would no longer be their strategic product. Shortly after, OpenSSO was forked to OpenAM. and will continue to be developed and supported by ForgeRock. On August 1, 2012, a California judge said in a tentative ruling that Oracle must continue porting its software at no cost until HP discontinues its sales of Itanium-based servers. HP was awarded $3 billion in damages against Oracle in 2016. HP argued Oracle's canceling support damaged HP's Itanium server brand. Oracle has announced it will appeal both the decision and damages. Larry Ellison: executive chairman and CTO (since September 2014), co-founder of the company, previously CEO (1977–2014),  previously chairman (1990–2004). He owns 25% of the company. Oracle Corporation has its overall headquarters on the San Francisco Peninsula in the Redwood Shores area of Redwood City, adjacent to Belmont and near San Carlos Airport ( IATA airport code: SQL). ^ Codd, E. F. (1970). "A Relational Model of Data for Large Shared Data Banks". Communications of the ACM. 13 (6): 377–387. doi: 10.1145/362384.362685. Archived from the original on June 12, 2007. Mendelsohn, Andrew (2013). "The Oracle Story: 1984-2001". IEEE Annals of the History of Computing. 35 (2): 10–23. doi: 10.1109/MAHC.2012.56.